The world’s calendar. 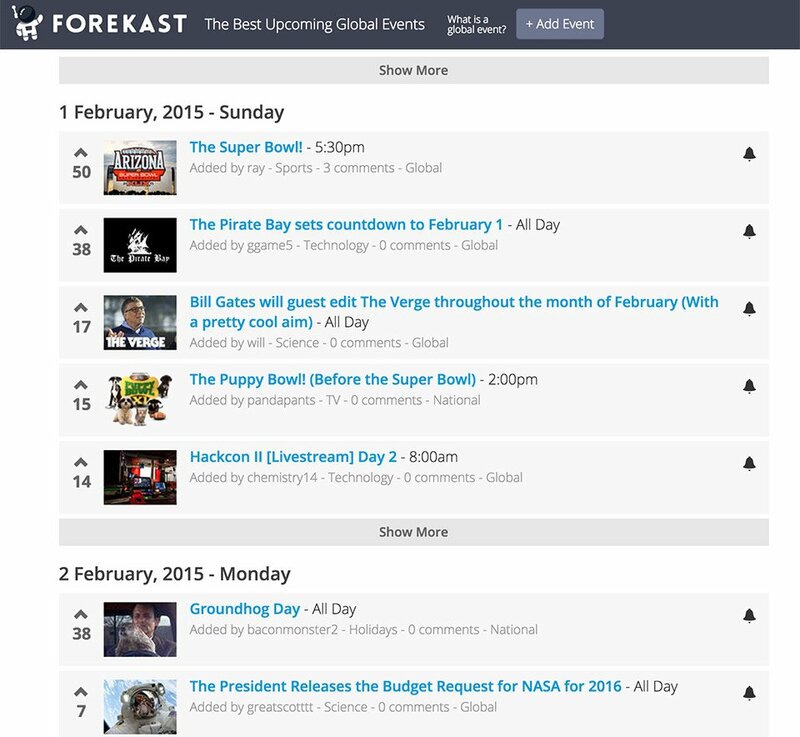 Forekast is a crowdsourced list of upcoming events. You can post, upvote and comment on events, subscribe to categories and get reminders. For now, only global events are accepted, but local happenings are in the works.